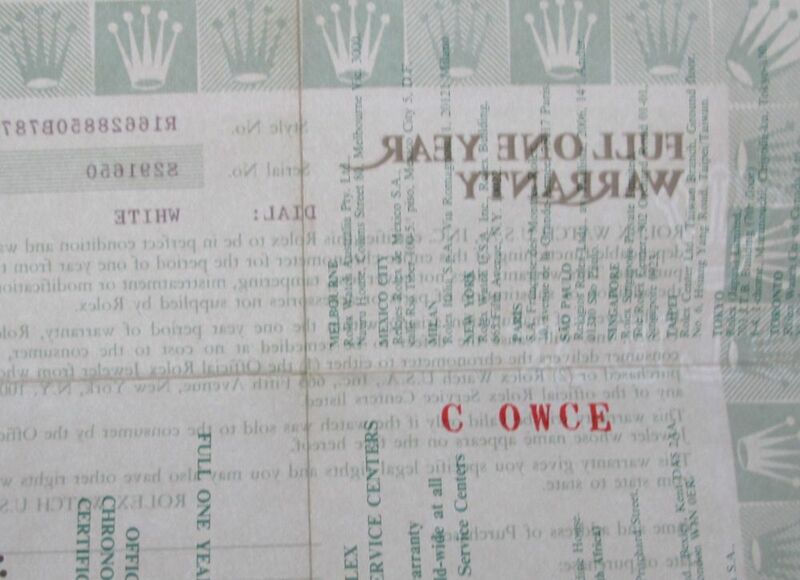 Only Rolex watches sold in the USA could have some special codes printed on the warranty paper. What do these codes mean? What are they for? Let's try with "C OWCE" printed on the guarantee above. It means "9 2694" that is "September 26 '94". Simple as that, right? 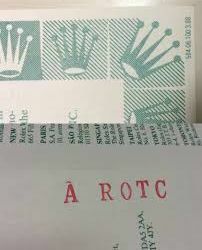 "A ROTC" means: "7 1289" that is "July 12 '89". We have prepared different pages on Rolex and its world, such as Rolex clasp code by year of production, Rolex serial number by year of production and Rolex Country Code. If you want to know even more, you can take a look at our Wiki!